It is the first of December, can we all just to take a minute and have a little celebration. Go get the music and the alcohol and enjoy this moment! It feels good doesn't it? So the countdown to Christmas has finally begun and we can finally open up our advent calenders, whether they are filled with chocolate or the most incredible beauty products and enjoy the excitement of each day when we get to open a small cardboard square. I'm writing this two days before this day and I am already so excited to open up my Thornton's advent calender! I personally love a chocolate advent calender, no matter how old I am. Of course I have to mention Christmas, that's what Blogmas is all about isn't it? Now it's December I am feeling extremely festive! Especially after going to Chelmsford on Sunday to watch the Christmas Lights be switched on with Martin and Sue from Heart Radio! It was truly incredible and I'm so glad I went! Every year I have always loved Christmas and started Christmas shopping as soon as possible, however it just isn't the same when you're a university student when you have to stress about essays and deadlines before you can worry about wrapping presents. I haven't wrapped any presents yet which makes me feel completely sad! However, I have had to leave all of my presents ready to take pictures for my Christmas Gift Guide. If you're a blogger, you'll know exactly what I mean! However, this weekend and the beginning of next week will be my time to shine! Sitting on the living room floor for the whole day, wrapping every present with delacy! It's the best part about Christmas. I wrote all about my Christmas Wrapping Tradition here. Putting up the Christmas Tree on the first Sunday of December is a tradition of my Mum's which I have decided to go by as well. Apparently back when my grandad was alive he used to have every Sunday off work, so my mum would come home on the first Sunday of December to a beautiful christmas tree. I think it's a wonderful idea and I really love spending a whole day getting the decorations out of the boxes and spending the time to decide where abouts they are going to go on the tree. You can find a post all about it on the 5th day of Blogmas! I cannot explain how excited I am to submit my essays for University. My deadline is actually the 4th December however I'll drive myself absolutely insane if I leave it till that date to hand in my essays. So I have decided to create my own deadline for the 12/13th of December and the day cannot come quick enough! I'm nearly there, but every step is killing me! I've had enough now. To be happierI don't really need to speak about this in-depth as it's simple. I want to feel happier and be happier! Happier with my life, happier in myself, happier with what's going on currently and to feel happier about my body. I will achieve this, and I will do everything I can to achieve this. I said this back in November however I feel once I've submitted my essays I'll be able to feel a little bit more at ease. This year is the first year where my family isn't going to be a whole and it's definitely going to feel a lot different and I can imagine not very nice either. However, the only thing I can do is keep my chin up and celebrate Christmas the way I usually would. I just hope I enjoy it. So my essays are being submitted on the 12/13th of December meaning I'd then have 12 or 13 days to sit back and relax with no care in the world. Apart from I will be working for two of the days (which is fine, it'll be fun and christmasy). I want to relax and I need to relax. I am ending today's post with a little bit of satisfaction and happiness. Back on the 1st November I created my "Hello November" post and one of my goals was to reach 3000 followers. Guys, I am currently on 3600+. How exciting is that? Reached it, flew past it and I'm still going! Thank you all for being so wonderful and supportive! I hope you enjoy Blogmas. 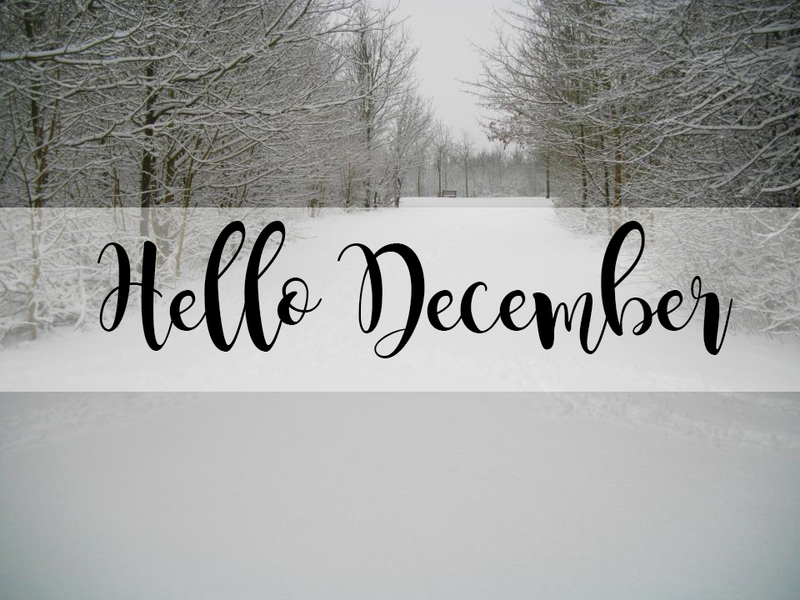 What are you looking forward to most in December, apart from Christmas of course!